Stuart holds a Bachelor of Business (Marketing, University of Western Sydney) and a Graduate Certificate in Management (International Business, University of Queensland). Managed a pharmaceutical distribution centre including staffing, logistics, financial reporting and revenue responsibilities. Held field sales roles negotiating and winning sales in the millions of dollars. Held multiple Marketing Manager positions, leading teams of marketing specialists and overseeing marketing budgets in excess of $1,700,000. Been a Sales Manager within the industrial products sector. Recruited and managed franchisees for mechanical and fast food outlets. Conducted regular financial performance reviews (Profit & Loss analysis) of franchisee operations in a multi-national franchise group. Managed many difficult staff issues within teams he managed including sexual harassment from other executives, trade union action, rectifying poor performance, and resolving conflicts with family member management teams. Being a Sessional Lecturer, teaching Marketing and Personal Selling courses for a number of semesters at the prestigious University of Queensland Business School. Through his consulting and training projects Stuart has worked with major organisations such as Uniting Care Communities, Linfox Armaguard, Schneider Electric, and Gulf Investment Corporation (Kuwait). Stuart created Vectis to give business owners the choice of a more holistic and coordinated advisory service than is currently offered in the market. With the focus on developing a practical, customised action plan, and then providing ongoing hands-on help to implement the action plan, the Vectis methodology combines disciplines of consulting, coaching and training to help clients achieve tangible improvements in their business. Accountants don’t have the time, experience or inclination to delve into the inner workings of their clients business. Most other consultants or coaches will provide a plan or ideas and then leave the client alone to implement (or as happens most times, for the business owner to get consumed in day-to-day activities and never implement the plan). Stuart has developed the Vectis methodology, based on the proprietary Business Success Ecosystem, to create a tailored business improvement program which is supported by timely professional guidance and project planning techniques to ensure progress is achieved within the business. 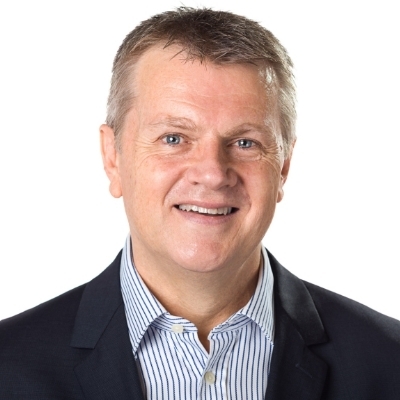 Stuart is also an experienced speaker, and has presented keynote sessions at numerous corporate retreats, annual conferences, and peak industry groups including Queensland Law Society, Club Managers Association, the Chartered Institute of Management Accountants, and the Middle East Sales and Marketing Conference (Dubai). We know there is a lot to consider when it comes to assessing your business growth options and identifying the best path forward. That’s why we recommend meeting for a no-obligation discussion to explore your situation and opportunities. Psychic numbing and decision fatigue: Is there a link for business owners? We develop a practical, customised action plan for each client, and then work hands-on with them to help implement those actions. The Vectis methodology combines disciplines of consulting, coaching and training t0 empower clients to achieve significant improvements in their business.